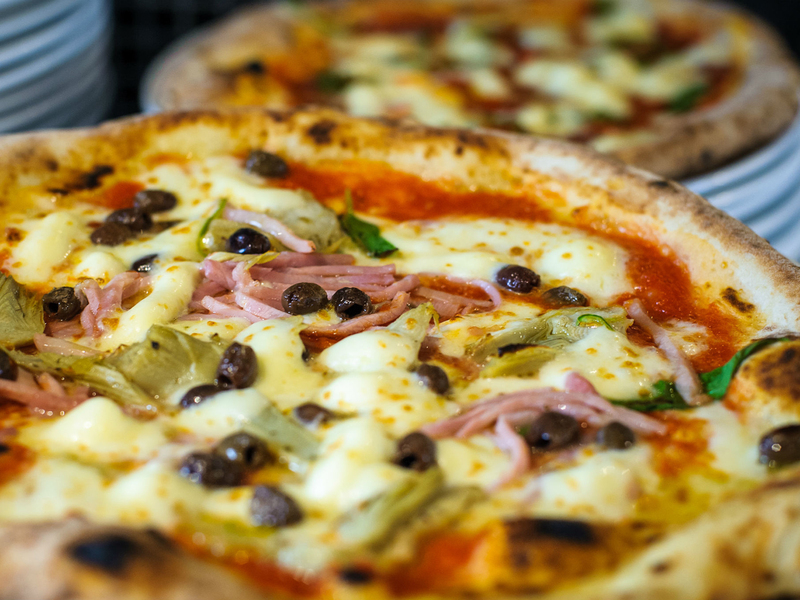 Pizza: it’s a delicious staple that’s been elevated far beyond its humble roots by Italian restaurants in London and beyond. Whether it’s delivered in a cardboard box and eaten on the couch or served in a swish restaurant with silver cutlery, it’s hard to beat. 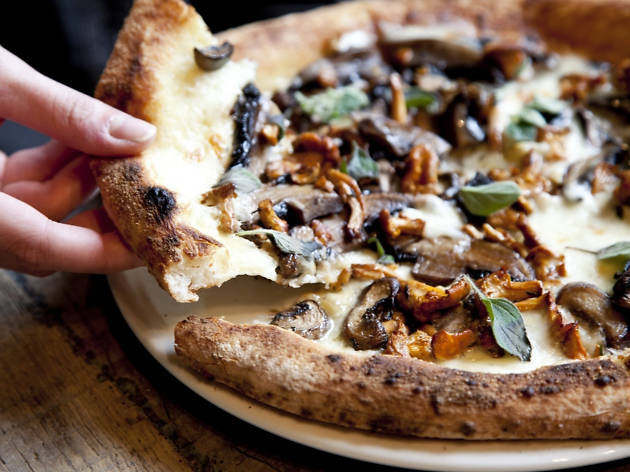 Browse our list of the best in town and keep it handy; pizza cravings are coming your way. An authentically Neapolitan pizza place where the owners have done their homework. The oven, shipped from Naples, probably took the bulk of the refurbishment budget – still, you probably won’t notice the bare plasterboard walls because the pizzas are so good. The chefs use their Neapolitan hardware to turn out thin, flash-cooked dazzlers with still-runny tomato sauce and minimalist toppings (quality sausages, pecorino, porcini and chestnut). Local delivery and pick-up to Clissold Park (Sat and Sun). Venue says Come in and try our new special, the Apolletana! Capers, black olives and anchovies on a sourdough base! If you’re tired of the Berlusconi-themed cabaret shenanigans in Bunga Bunga’s basement bar, head upstairs to Bungatini – a straight-down-the-line pizzeria with crowd-pleasing credentials. 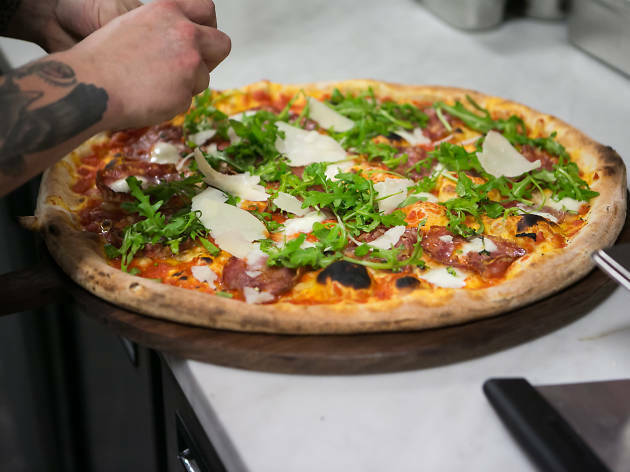 The decor comes with a contemporary edge, but the pizzas go for rustic familiarity in a big way: the dough is proved for 24 hours and loaded with artisan toppings ranging from wild mushrooms and rustica tomatoes to bresaola and pressatella di Calabria (‘flat’ salami). You can also sip cocktails without having to endure BB’s excesses. 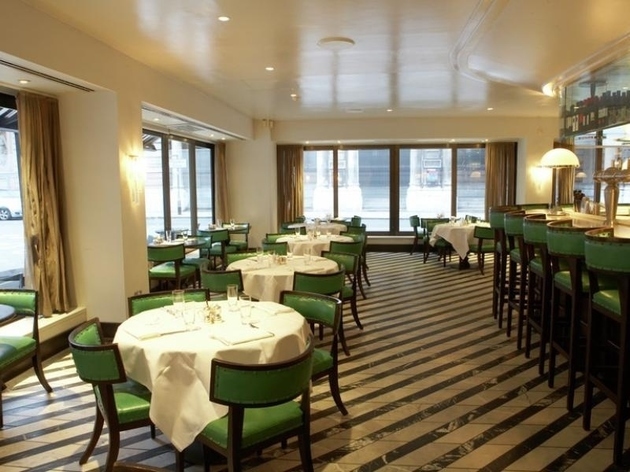 A stripped-back ‘pizza bar’ version of swanky Cecconi’s in Mayfair, this Soho spot feels shabby-chic rather than top-end elegant, but its pizzette and more sizeable wood-fired pizzas are decent contenders in a crowded marketplace. Try the spicy lamb sausage, chilli and pecorino version or bresaola with smoked burrata, rocket and cherry tomatoes, washed down with a negroni or aperol spritz – dispensed from taps at the bar. No bookings. The name translates as ‘brothers of Vesuvius’ – a reference to the fact that this Summerstown pizza joint was set up by some enterprising Neapolitan lads who wanted to recreate a slice of their home city in SW17. 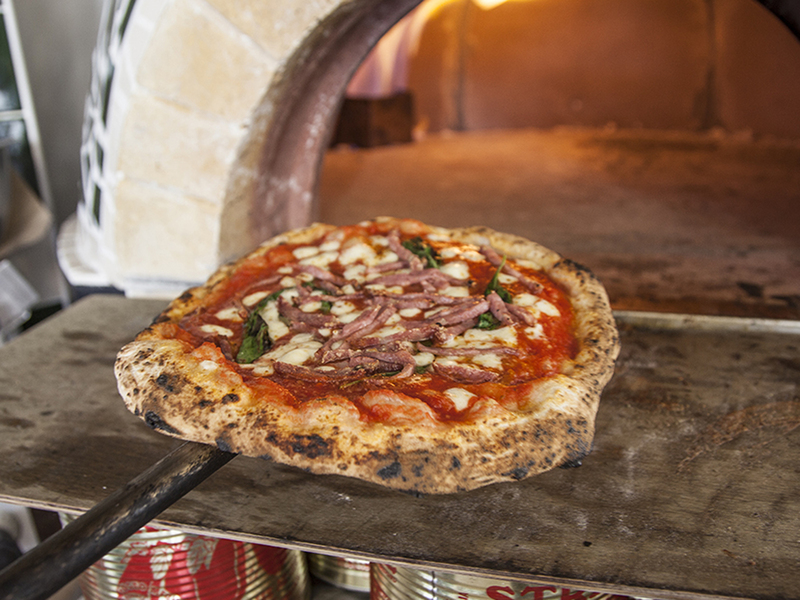 Sit by the oven, admire the craft of the pizzaiolo as he spins the dough and watch as the traditional Italian toppings are assembled to order – perhaps friarelli (‘turnip top’ winter greens), juicy sausage or tender artichoke hearts. Takeaways and local delivery available. 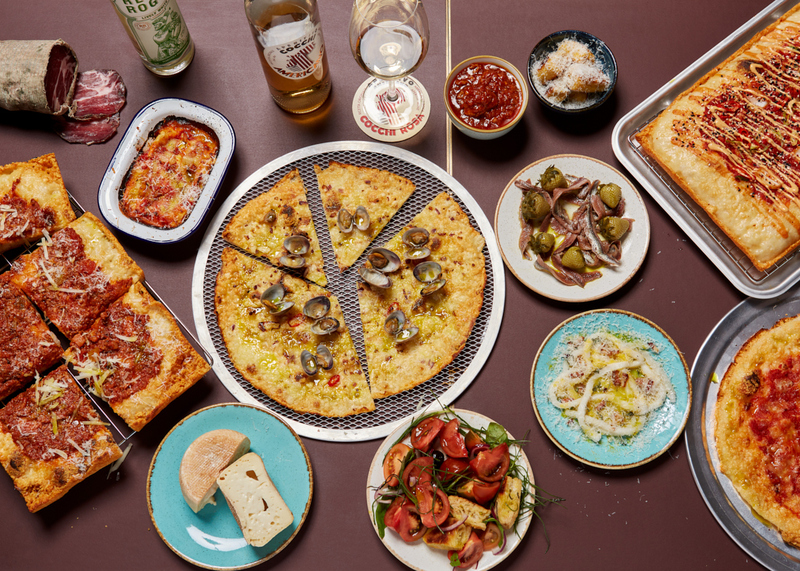 It may be known for its Deliveroo takeaways, but Firezza has gone one better by setting up a decent sit-down joint that can roll with the best of ’em in pizza-heavy Soho. It focuses on a tried-and-tested selection of toppings but shakes up the formula by offering metre-long versions that cut be cut into squares. Vegan and gluten-free options are no problem here. 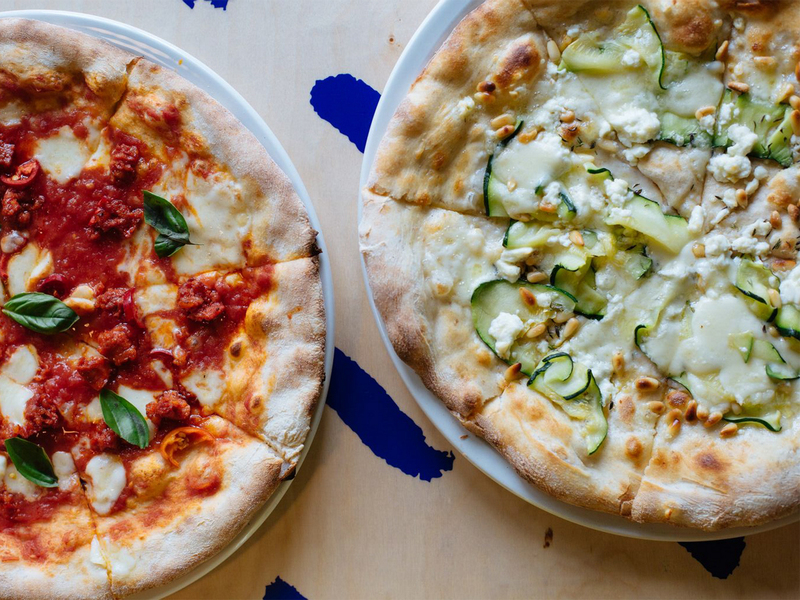 Brace yourself: Four Hundred Rabbits is a restaurant that serves pizza and craft beer. The former is made with organic sourdough (thus chewy rather than brittle), while toppings are equal parts familiar and inventive – think chipotle-rolled goat’s cheese, rhubarb and piquillo peppers or courgette with feta and pine nut pesto. Also snap up the banging specials – Baharat-spiced minced goat with aubergine and crème fraîche, say. Beers include elite names like Burning Sky. Takeaways and local delivery available (beers included). 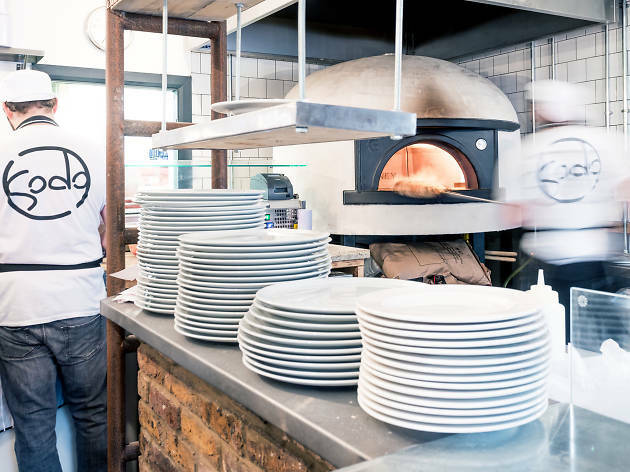 Wood-fired sourdough pizzas with serious artisan credentials guarantee queues at Franco Manca – no wonder this cult-status mini chain has spread across London like a drizzle of chilli oil on your plate. Prices are rock bottom, the pizzas are served up super-quickly, and kids can watch the pizzaiolo doing 'messy play' in the open kitchen. The original Brixton branch seems less pioneering these days, but the bustling Market setting and the Neapolitan-style pizzas still do it for our money. Takeaways available across all branches. Delivery available at selected branches. It’s not how big it is: it’s what you do with it. Take this venue in Neal’s Yard, where the pizzas (served fresh from the wood-fired oven) wouldn’t be out of place on ‘Man v. Food’. Thankfully, most of these thin-crusted beauties are available by the slice (£4) – although you can order a whole 20-incher (£20), which is enough to feed you and two of your pals. They’ll even let you have more than one choice from the topping selections if you ask nicely. 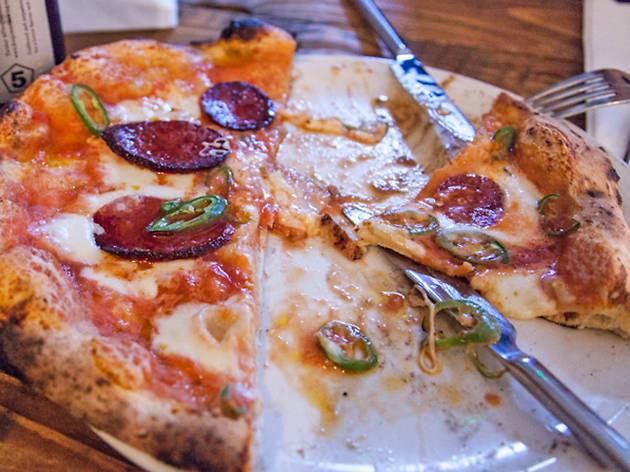 An artisan fast-food joint in a stools-only space that happens to be a former public loo, Joe Public serves its pizza US-style as a 20-inch pie (i.e. 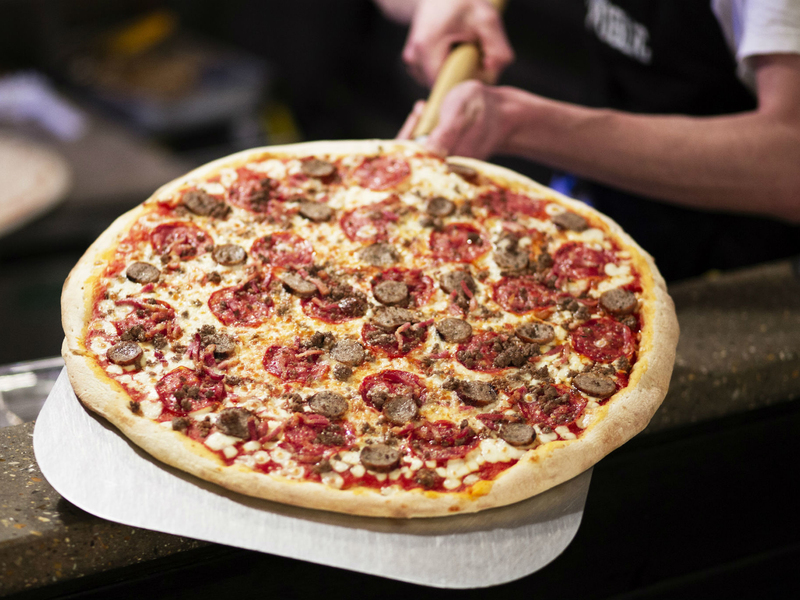 bigger than a grown-up’s arm) – so order by the single slice. Two or three is plenty. 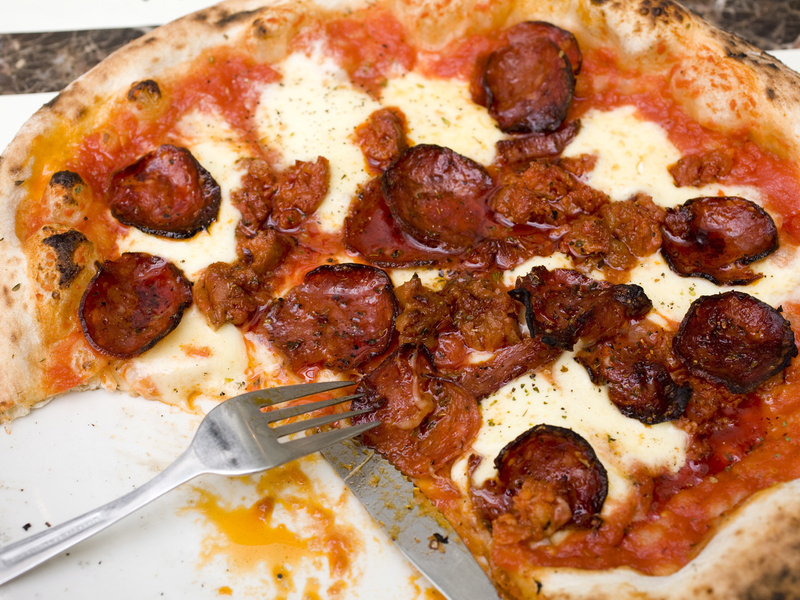 Toppings have a Stateside vibe: chilli-flecked slivers of pepperoni or chicken and chorizo with halloumi and oregano. 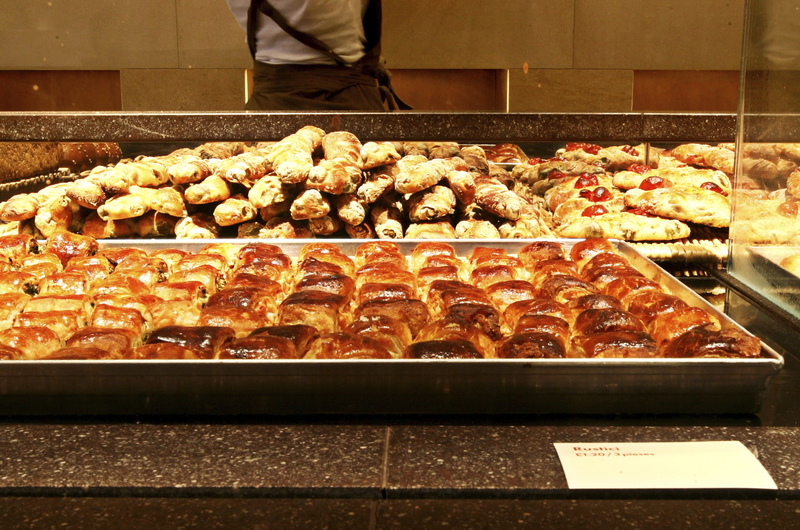 At £4 or £4.50 a slice, this is not only a satisfying pit stop, but also an absolute steal. 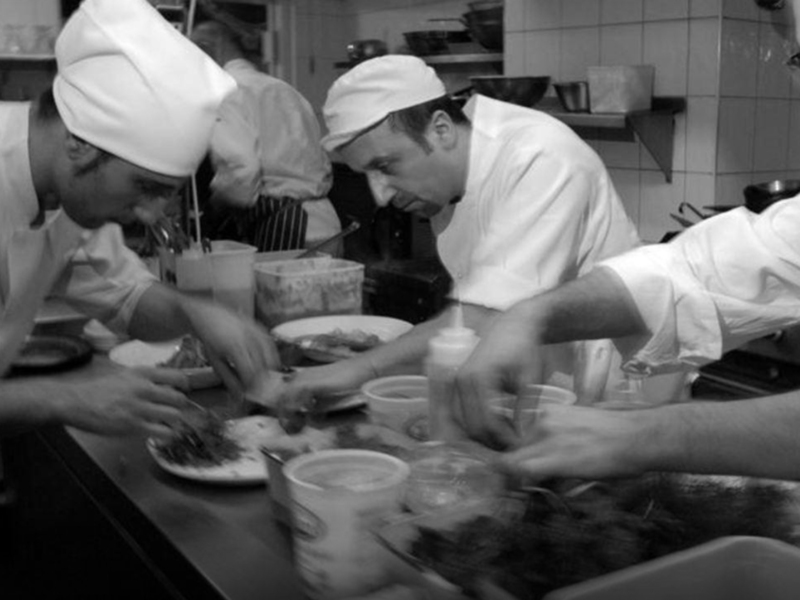 L’Antica’s Neapolitan original earned worldwide cred thanks to Julia Roberts and the film ‘Eat, Pray, Love’, although its Stokey offshoot settles for local glory – sometimes it seems like the whole neighbourhood is in the queue. Bright blue colours set the tone and the menu couldn’t be briefer – just two varieties (margherita and marinara) and absolutely no bits on the side. However, the pizzas are gigantic and properly luscious – no wonder Julia got hot under the collar! A trendy street-food stall gone permanent, this cool pizza joint comes with a moody lick of paint and a stylish marble bar – although it’s all about the blistered Neapolitan-style specialities that are pulled out of the oven. Our top pick from a range of inventive toppings is the version strewn with merguez sausage (from Flock & Herd across the road), red onion, shredded cavolo nero and fior di latte – a Peckham classic in the making. 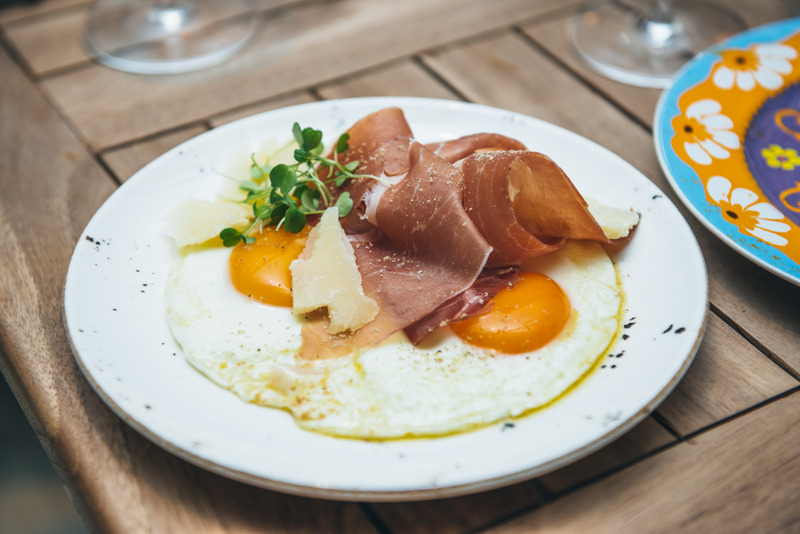 As an all-round restaurant specialising in southern Italian food, Mimmo La Bufala has a bias towards mozzarella (of course) and fish. 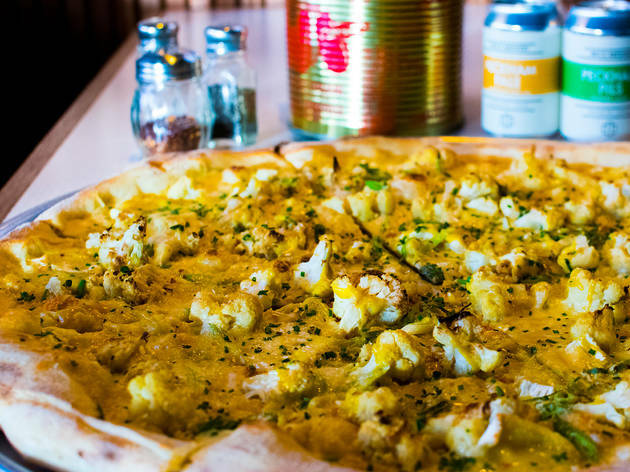 The long list of 13-inch pizzas includes all the classics as well as seasonal variations such as tomato-free ‘bianche’. 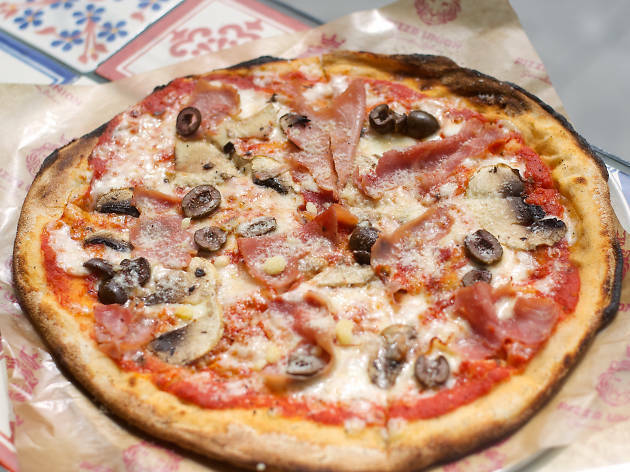 ‘Mimmo’s’ signature version (named after the ebullient proprietor) is made in true southern Italian style, its thin base topped with juicy tomatoes, smoky provolone and melt-in-your-mouth buffalo mozzarella before being baked in a wood-fired oven. Imagine if Subway had a baby with Nando's, and that baby produced really delicious pizza. Meet MOD, the first London outpost of a 200-strong US chain. Queue up at the counter, choose from three sizes, and then make all your pizza dreams come true by adding unlimited toppings – there are 38 on offer! Spread over three floors off Leicester Square, MOD scores zero for atmosphere – still, there’s always unlimited soda from the fountain. 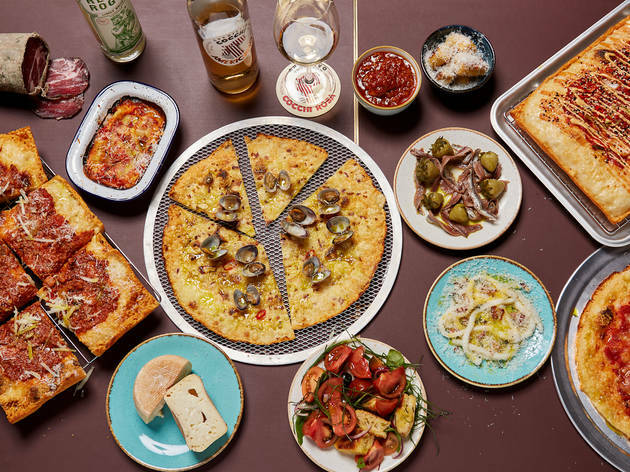 The popularity of Pizza East (from the Soho House group) hasn’t waned one jot since it launched: this outlet still packs out Shoreditch’s landmark Tea Building, while other industrial-chic branches do the business in Kentish Town and Portobello Road. 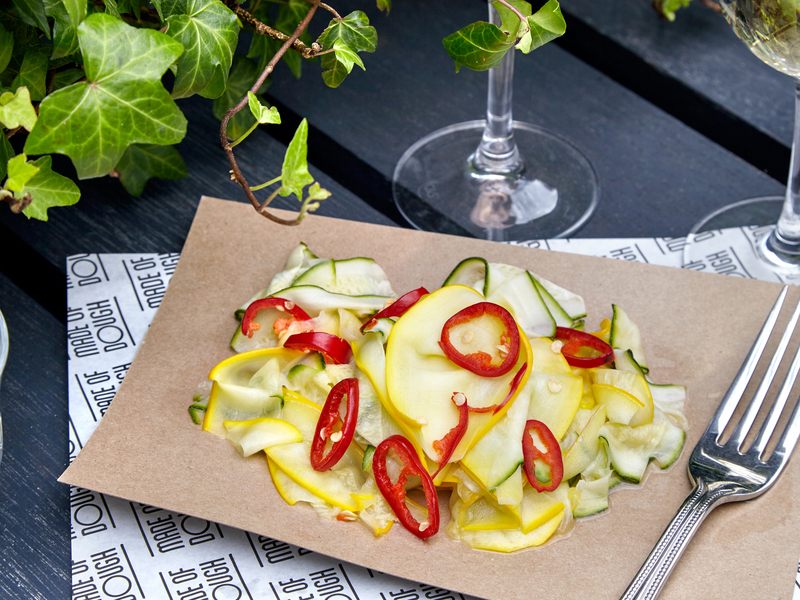 Served on a ciabatta-style dough base, nearly every topping comes with an alluring twist, as in creamy burrata cheese paired with tomato, aubergine and chilli or veal meatballs with lemon and cream. 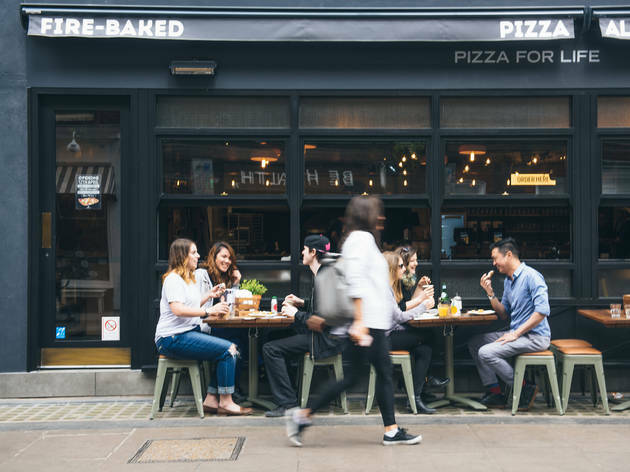 Having built a loyal following with its three-wheeler food van (usually found in Berwick Street Market), PP opened its first bricks-and-mortar site on this busy Soho corner back in summer 2013. 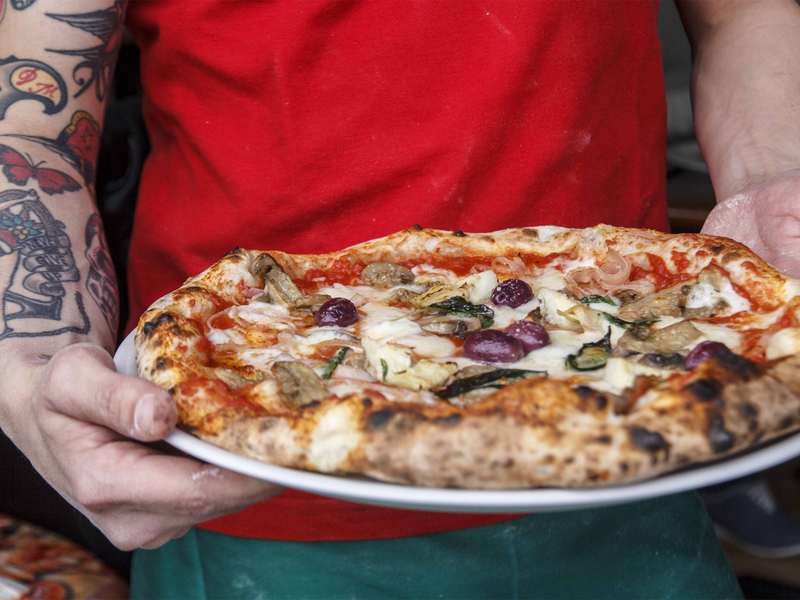 You can see the kitchen and pizza oven through the ground-floor windows as the cooks wheel out soft, chewy offerings in the Neapolitan style, with thick bases and generous on-trend toppings – ’nduja, salsiccia, friarielli and the like. Calzones are also a hot ticket. Takeaways and local delivery available within 2km. Billing itself as a ‘superveloce’ (superfast) Italian, this industrial-looking canteen really does serve its pizzas pronto – a flashing buzzer summoned us to the counter to collect ours less than four minutes after ordering. The menu lists all the classics alongside a couple of more recent immigrants, such as a tomato-free ‘bianca’ with great rosemary and garlic pungency. 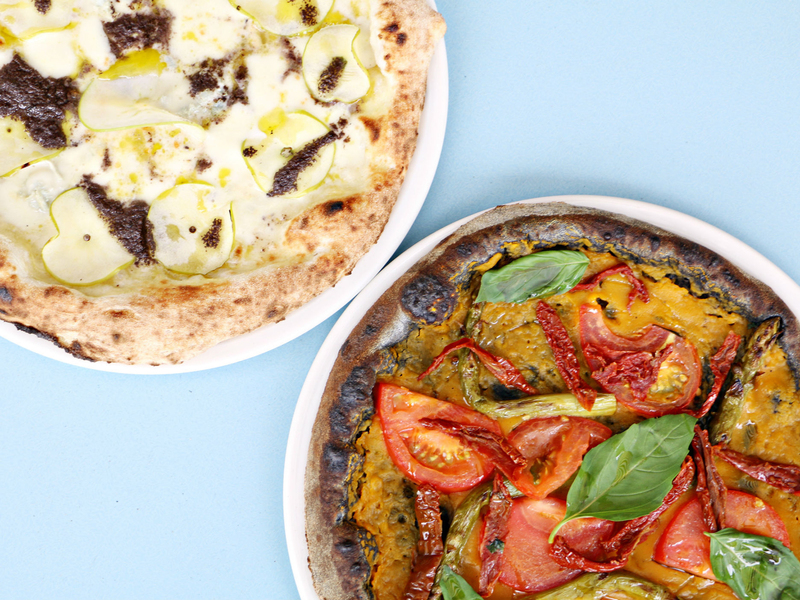 Baked in a large igloo-like oven, the pizza bases are uniformly thin and light with a crisp crust. Takeaways and local delivery (except Dalston branch). 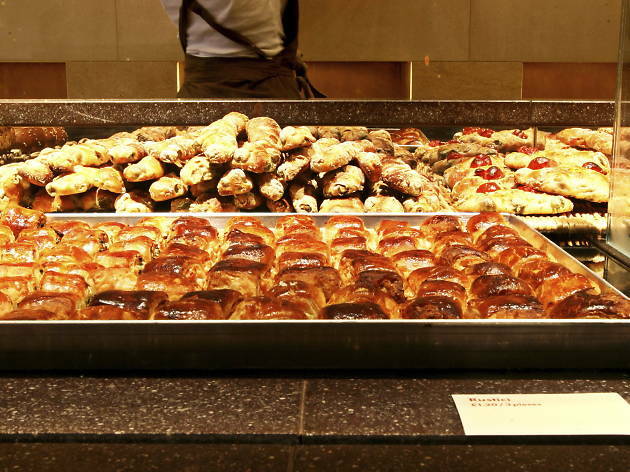 Introduced to London by Alan Yau in 2008, this smart outpost of a Milanese bakery chain remains a popular all-day option in Soho. It’s an airy, good-looking room, with a sandstone interior and long black marble counters, but do try the pizzeria (to the left as you enter), which offers table service and a marginally calmer atmosphere – great for enjoying a short but classy range of pizzas: margherita, quattro formaggi, diavola, capricciosa etc. Delivery available within central London. 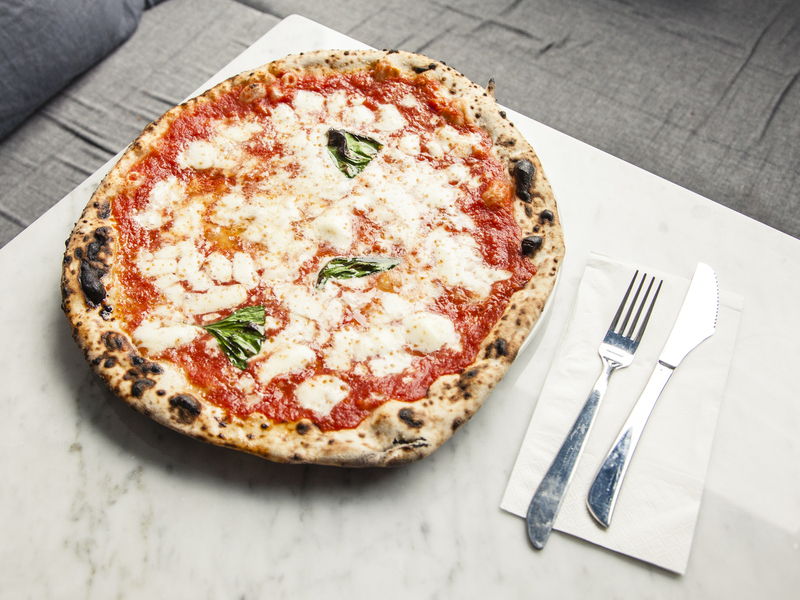 Finding nowhere in London to match the pizza of their upbringing, Angelo Ambrosio and Pasquale Chionchio set about recreating a slice of Naples in W5. The result is a pocket-sized pizzeria that puts real heart into its offerings: everything from the wood-fired oven to the Caputo flour is imported; the lightly salted dough is given a 24-hour rise; the tomatoes are crushed by hand. And with one eye on the trends, they have recently introduced a dedicated menu of vegan pizzas. Branches in Chelsea and Fitzrovia. 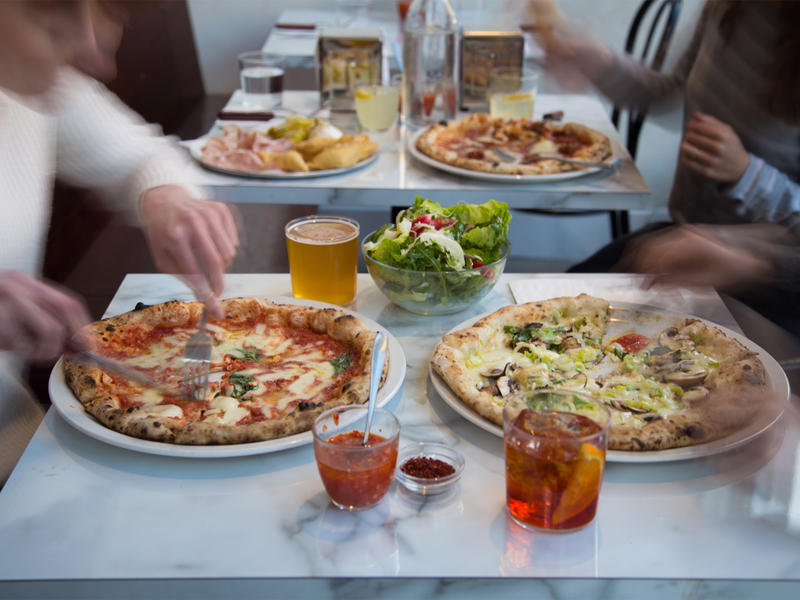 Sodo may look a little rough around the edges, but it’s really all about the pizza at this branch of the mini chain. Margheritas never have a lot to hide behind and our version was superb: the Neapolitan-style sourdough base (Sodo, geddit?) was thin, crisp, delicious and impressively topped. Also look out for ‘Captain Beefheart’, ‘The Wicker Man’ and ‘Sunny Goat’ (goat’s cheese, sun-dried-tomatoes, rocket etc). Gluten-free options come on a base fashioned from butterbeans. Local delivery available at Hoxton and Bethnal Green branches. Following on from its branches in Soho and the City, this offshoot of Temper boasts a trademark open kitchen – although the menu is all about rustic Italian cooking, especially ‘small dish’ pastas and a raft of pizzas (the best bits of the set-up). Choose from ultra-thin ‘bar pizzas’ or deep cheesy ‘Detroit squares’ – perhaps goat ragù ‘red top’ or ‘K-Whole’ with its kimchi base, tteokbokki (Korean rice cakes), sesame seeds and ssamjang mayo. Cheese-free vegan pizzas too. Venue says Launching Tuesday April 9: unlimited pizza and wine for 90 minutes! Monday to Thursday, 6.30pm and 8:30pm, £20pp. Call to book. Theo’s is similar to indie artisan set-ups such as Franco Manca, dishing up Neapolitan-style sourdough pizzas and very little else. But this joint has made itself the crown pie-prince of Camberwell, with crusts that are soft and chewy on top and crisp underneath. Additions include wood-oven aubergines, chestnut mushrooms, anchovies and pork in various guises (including Camberwell ‘nduja) – and they come piled high. ‘Pies’ range in price from £6 for a basic marinara to £11 for meatier options. An impeccably hip drop-in selling seriously delicious pizzas by the slice from 22-inch New York-style whoppers. The hours are long, portions are gigantic and the menu is downright wacky. 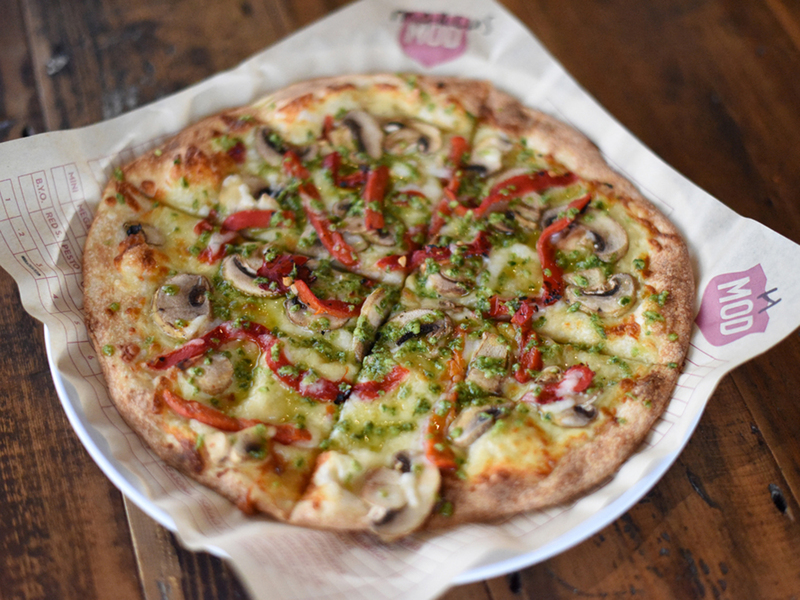 By-pass the ‘Giorgio Moroder’ and ‘Hot Mix 5’ in favour of a ‘Vegan Queen’ (artichoke hearts, green olives, red onion, sun-blush tomatoes and green sauce), or try a 10-inch ‘brunch pie’ topped with wild mushrooms and cherry tomatoes on a soy yoghurt base. Branches in Dalston, Shoreditch and Camden. 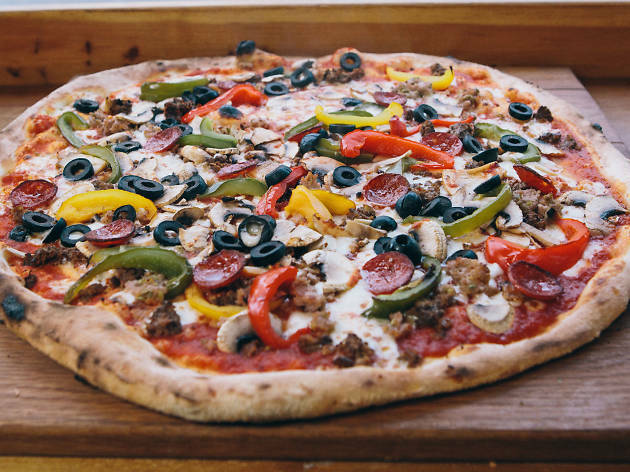 Yard Sale's pizzas are served fresh from the oven in either 12-inch or 18-inch stone-baked sourdough rounds. Toppings range from classic margherita to ‘The Ribona’, a love-in with street dude the Rib Man involving his pulled baby back ribs, roasted corn, jalapeños and pink onion relish – plus some X-rated Holy F**k Hot Sauce if you’re brave. Mind you, we’d plump for the crowd-pleasing TSB any day (that’s tender stem broccoli with manchego). They peddle gluten-free bases and vegan cheese too. 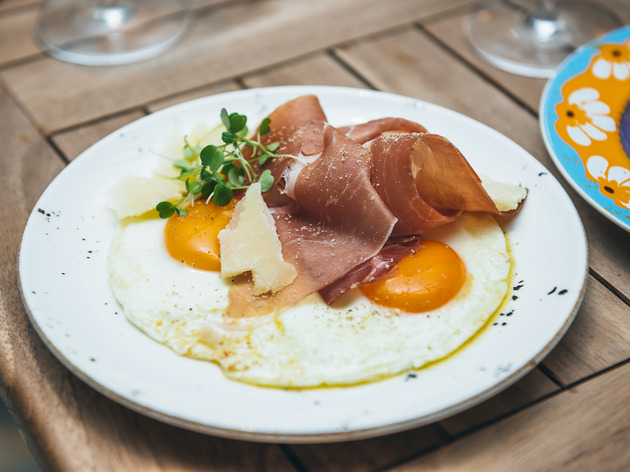 Opened by Highbury locals Claudio Vescovo and Gianluca D'Angelo, Zia Lucia serves up an old-fashioned Italian family feast in a contemporary setting. Various 48-hour fermented doughs give the menu its USP: there’s a deliciously nutty wholemeal option, an impressive-looking vegetable charcoal one and even a gluten-free crust. Toppings are new classics (’nduja, aubergine, broccoli etc) and there’s also a vegan version involving butternut squash cream. A second branch is now open in Brook Green.